The Friends of the 502 Group will have their stand at Rainhill Model Railway Club‘s next show, which will take place on the weekend of 1st/2nd March at Rainhill Village Hall. We will have our usual selection of merchandise on the stand, and you will have the chance to talk to group members about what we’re up to. For more information on the exhibition please visit Rainhill Model Railway Club‘s web site. Following our successful move to Burscough we have recently commenced some work to investigate the most appropriate methods of proceeding with restoration. As it is nearly six months since the last public access now is an appropriate time to invite viewing of recent developements and our current activities. 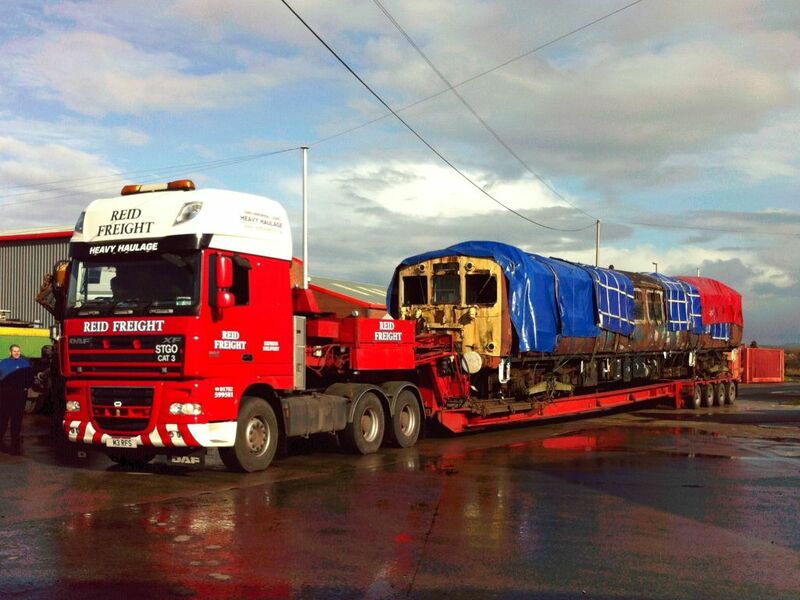 Image shows arrival at Burscough on 03rd March 2012. On Sunday 16th February we will be open from 1100 to 1600. Members of our Group will be on hand to greet visitors and facilitate access and discussion. Our intention is to restore the unit to working condition and have it available for public operational use. This will be a ten year programme. As the bodywork has suffered weather effects since 1998 our initial objectives were to stabilise the deterioration and then look at a rolling programme to restore the body shell and interior. The former has been achieved and the latter is under way. Osprey Close, Burscough, L40 8TG. Access is off A59 via B5242 then turn right after 200m at roundabout, Osprey Place is second on left. Your destination is the large warehouse building which is accessed under the awning to your left. You will receive a warm welcome. Hot drinks will be on hand. These Electric Units were designed and built at the Derby Works of London Midland and Scottish Railway in late 1930’s for the intensive commuter services from Liverpool to Southport, Crossens and Ormskirk. 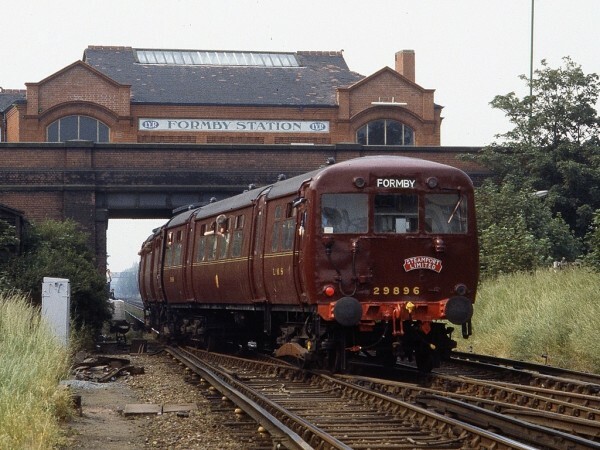 Our unit entered service in 1940 and ran until withdrawn in 1978 when it became part of the National Collection under the control of National railway Museum. In early 1980’s supporters at Steamport in Southport renovated and repainted into original maroon livery for various Special Trips, seen here at Formby in 1986.